Material handling is an industry that most people have heard of, but very few understand. When industrial products need moved, stored, and controlled – material handling is in charge. In the case of mining and quarry management, most plant’s material handling processes are only as good as the equipment they use. 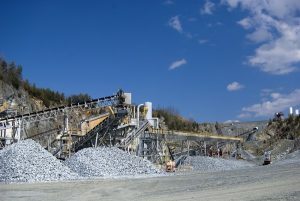 Aside from the actual mining equipment, a conveyor is the first piece of material handling equipment raw materials touch outside of the mine or quarry. After the material is dug, or even blasted, from the ground, it needs to be moved out. Conveyor systems can be span a short distance, climb inclines, or even span thousands of feet. A well-built conveyor system allows all raw materials to be fed out of the mine and into the next phase at a steady pace. This makes much more sense than loading trucks full of the material and driving back and forth – limiting trips to only what fits in the bed. Crushing equipment is fairly straightforward – it’s used to crush materials into smaller, more workable pieces. Even though the end goal is similar for most crushers, they each function differently. 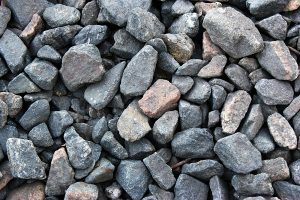 We already know that when raw material is harvested from a quarry or mine, it’s usually moved into some type of crusher by a conveyor belt. The type of crushing equipment and crusher parts needed depend on the raw material. Large raw materials like stone need to be fed into more powerful jaw crushers. Their massive metal jaws can handle really dense material better than any other crusher. After raw material is fed into the right crusher, and second crusher is sometimes needed to finish the job. This is where a gyratory crusher can be used to refine the material closer to where it needs to be. Screening equipment is usually the last stop before sellable material is achieved in most mining processes. After the material has been transported out of the mine and into a crusher, it’s then fed into a screening system. Screens are used to sort-out any waste from the desired product. In the case of materials like coal, screens are used to remove surrounding rock fragments. This process can be quick or it can be multi-phased depending on the desired size of the material. For fine materials like sand or gravel, multiple layers of screens are used to keep refining the material into smaller and smaller bits. Heavy vibrations move the material over each screen, allowing useable material to be sorted and collected every step of the way. Without screening equipment, the material wouldn’t be ready for sale in a cost-effective way. Conveyors, crushers, and screens all work together to create a seamless material handling process. Without the right equipment and parts to keep them running, we wouldn’t have salt for our road or lime for building applications. Material handling isn’t just about point A and point B; it’s also about what’s in-between. Is It Better To Do Appliance Repair Or Replace It In Charleston?